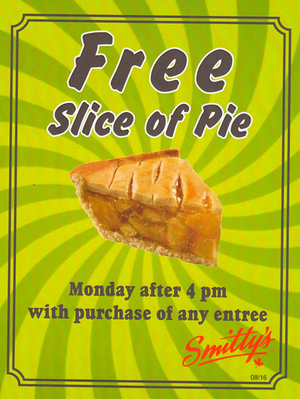 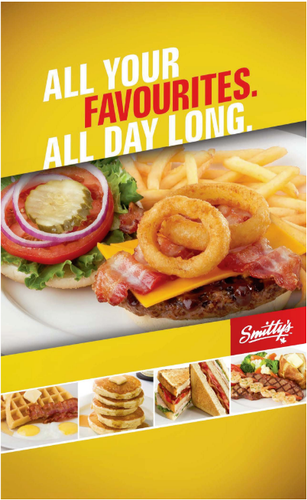 Smitty's is Canada's largest family restaurant chain. 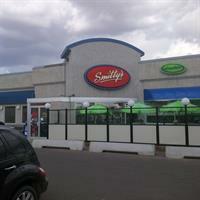 Smitty's is very popular among families with small children, seniors, and travelers. 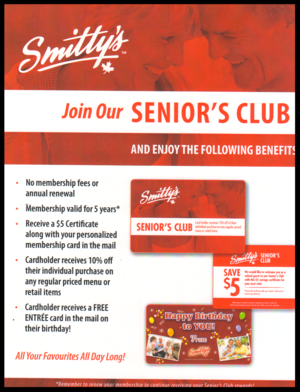 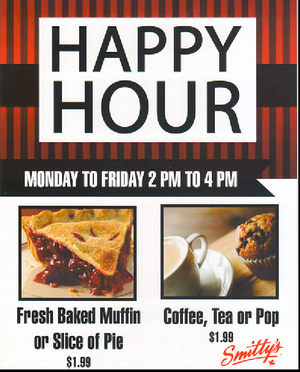 Our location is fully licensed and also features Shade's Bar & Grill with 4 draft taps, 11 HD TVs, free popcorn, 40 cent wing nights Monday thru Friday 4 - 10pm, VLTs.